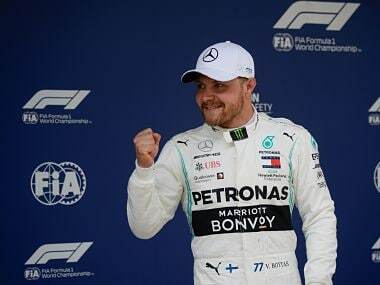 Baku: Lewis Hamilton branded world championship leader Sebastian Vettel as a "disgrace" and challenged the German to "act like a man" after he deliberately crashed into him in Sunday's tempestuous Azerbaijan Grand Prix. 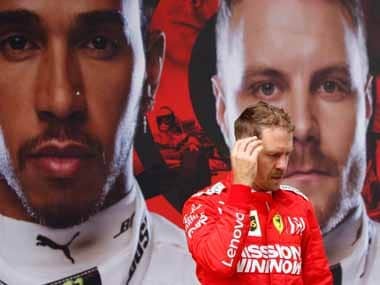 Four-time world champion Vettel was given a 10-second stop-go penalty for driving his Ferrari into the back of Hamilton's Mercedes while they were following the safety car after 19 laps on the Baku street circuit. 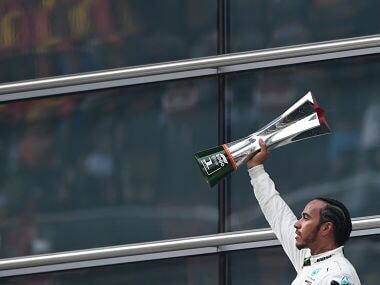 Hamilton, who was leading after making a clean start from the 66th pole position of his career, had initially slowed to avoid the slow-moving safety car ahead of him, an action that may have caused Vettel to drive into the rear of his Mercedes. This damaged both cars — loosening further the head-rest in Hamilton's car so severely that he was ordered to pit on safety grounds for repairs — and caused Vettel to lose his temper by pulling alongside Hamilton and then turning into him. "I think it's just not the correct driver conduct," said Hamilton, picking his words as he spoke to reporters. "It's dangerous driving and to get a 10-seconds penalty for that... I don't need to say anything else." 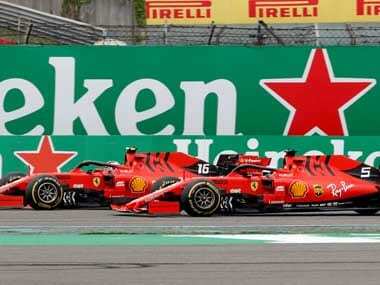 Vettel, who had accused the Briton of brake-checking him, had served his penalty during the race after the stewards decided his actions added up to "dangerous driving". Hamilton was not reprimanded or punished. The three-time champion Briton added later: "I didn't brake-check him at all. For him to pretty much get away with driving into another driver is a disgrace. I think he disgraced himself today." "If he wants to prove he is a man we should do it out of the car, face-to-face. Imagine all the young kids watching today — seeing that kind of behaviour from a world champion." "I know my boys will be devastated [about the head-rest issue] but I think it's important to take away the great performance throughout the weekend." Vettel, who had attempted to demand an explanation for the penalty during a terse radio exchange with his Ferrari team, said that nothing had happened. "Nothing happened, did it? He brake-checked me as well so what do you expect? I'm sure he didn't do it on purpose, but for sure it was not the right move. If I'm struggling, people at the back are struggling even more so I don't think it was necessary." "I got damage. He risked damage. He's done something similar in China at the restart a couple of years ago so it's not the way to do it, I think." Vettel continued to protest his innocence after the race. "I didn't run into the back of him on purpose. There is then a chain reaction." "I think it was very clear. In the end, we are racing with men. If one of us gets a penalty, we both do. We are both grown-up men. We want to race wheel to wheel." "The championship battle is still respectful. I don't have a problem with him, but I think today's action was wrong. "Every week in the Premier League you have refs blowing the whistle — and some players agree, some disagree. It's the same here." 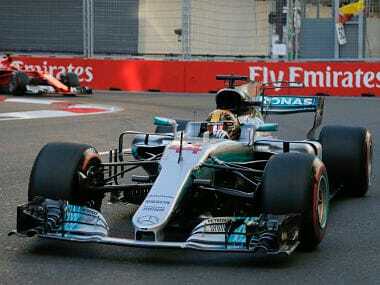 Vettel went on to finish fourth and Hamilton fifth and they are now separated by 14 points in the title race. In a post-race statement, the stewards made clear that Vettel's penalty had been given for the incident in which he drove into Hamilton. It was described as "potentially dangerous" driving and in addition to the time penalty in the race he was also given three penalty points on his racing licence, taking him to a total of nine. If he reaches 10, he faces a possible further sanction.